Coltrane Changes. 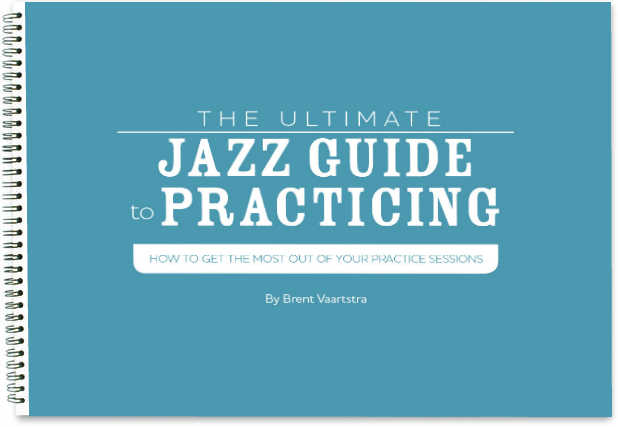 If you’ve been playing jazz for a while and have really gotten deep into it, you’ve probably had to confront them. 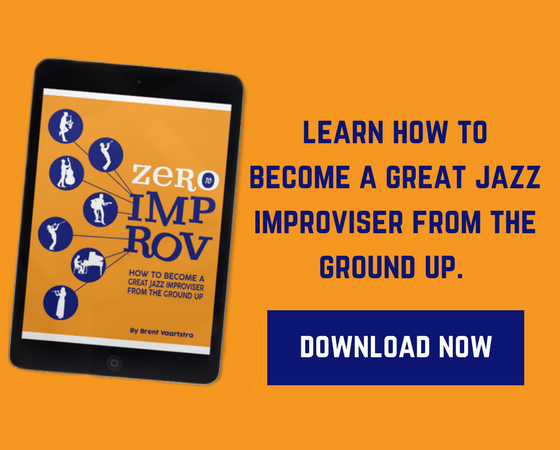 At some point you’ve attempted to play Giant Steps at a jam session or even by yourself at home and had to learn the hard lesson: it’s not easy! Sure playing tunes like Giant Steps, Satellite, Countdown, or 26-2 can be quite a challenge, but like any other tunes you just need to practice them. But where do you start? A lot of musicians like to go straight to shedding scales, arpeggios, and patterns over all of Coltrane’s harmonically complex forms. After all, that’s the hard part right: just being able to sound good when soloing over the changes? 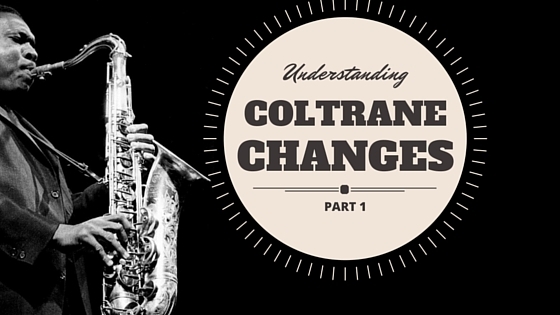 However in order to set yourself up for success, you need to first understand Coltrane Changes. A lot of musicians skip this step and end up making it so much harder than it really is. It can be helpful to take a step back from your instrument and analyze what’s going on. In this lesson we’re going to look at 2 fundamental types of Coltrane Changes that you need to understand before moving forward to others: the Three Tonic System and the Four Tonic System. In the next post we’ll talk about how you can apply Coltrane Changes to different jazz standards, but for now this is a necessary starting point. Realize that Coltrane Changes are all about cycles. It’s incredibly important to understand what these cycles are and how they work. What is being cycled? Different key centers. Let’s start by talking about the Three Tonic System. Three Tonic System essentially means there are 3 different tonal centers present in the cycle. There are different kinds of Three Tonic Systems as you’ll see in the next lesson, but for now let’s focus on Giant Steps. Here is the rule for a Three Tonic System based on Giant Steps: Each key center descends in Major 3rds. Notice that in Giant Steps the three tonal centers are: B Major, G Major, and Eb Major. 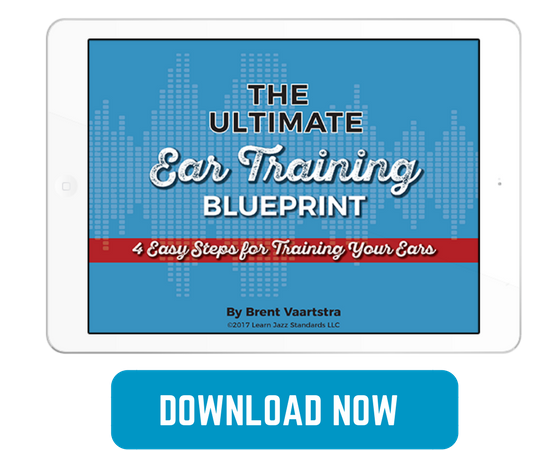 Now in case you don’t find this fascinating: understanding that Giant Steps can be simplified to three keys makes thinking about it much easier! As you can see, Bmaj7 is moving to Gmaj7 which is a major 3rd down and Gmaj7 is moving to Ebmaj7 which is a major 3rd down. This movement in thirds (major or minor) is really what characterizes most all Coltrane Changes. Notice as well that each key center moves up to a dominant 7 chord a minor 3rd away (Bmaj7-D7). Why does this work? Notice that the D7 is the V chord of G and notice how Bb7 is the V chord of Eb. If you’ve been paying attention to your ii-V-I’s, you already know that the V chord resolves perfectly to the I chord. First note that the entire form keeps going in this same cycle: Bmaj7-Gmaj7-Ebmaj7-Bmaj7-Gmaj7-Ebmaj7…..etc. It sticks to the the rule of the key centers moving down in Major 3rds. You’ll notice that for the sake of the piece, Coltrane doesn’t continually connect the tonal centers with dominant 7 chords a minor 3rd up (or the V chord of the next tonal center). If he did, there would be a constant attack of 2 beats per chord and no space. To deal with that he starts adding ii-V’s to connect tonal centers. My suggestion is to think of the ii-V-I of the next tonal center as a whole and don’t worry about the exact minor 7 chord that comes after the tonal center you are currently on. If you understand the cycle and realize you are only dealing with three different keys, Giant Steps automatically becomes much easier to navigate. Coltrane also utilized a Four Tonic System in his music. If you haven’t concluded already, a Four Tonic Systems means there are 4 different tonal centers present in the cycle. Again there are different types of Four Tonic Systems, and each tune has it’s own way of cycling. A good example of a Four Tonic System is Central Park West. Here is the general rule for a Four Tonic System based on Central Park West: Each key center modulates by minor 3rds (up or down). Now the reason I say general rule is because Coltrane doesn’t completely follow this. He starts the tune modulating a minor 3rd up (Bmaj7-Dmaj7) but then decides to switch the order of the key centers and moves to Abmaj7 instead of the Fmaj7 after the Dmajor (which are a tritone apart from each other). This causes the Fmaj7 at the end of the cycle to be a minor 3rd down from the Abmaj7. 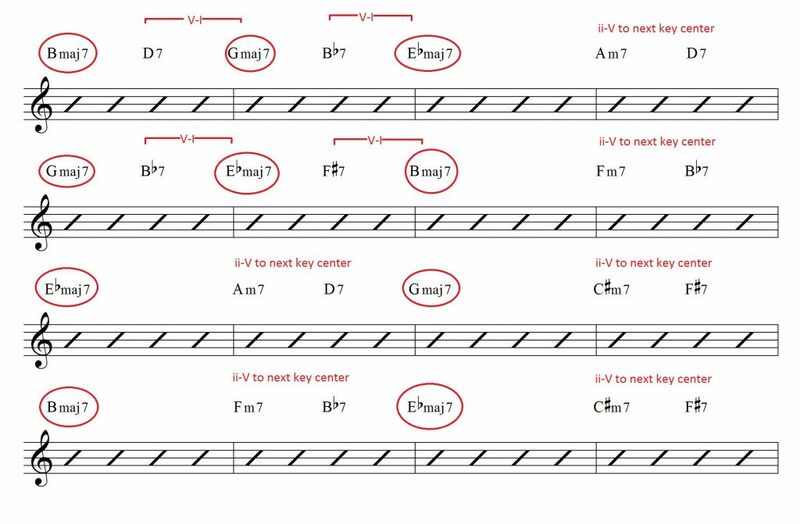 He connects the 4 different key centers by ii-V’s into each proceeding key, much like he did in the last half of Giant Steps. If you understand what the cycle and the key centers are in each Coltrane Changes tune you are already on the right path. Focus in on the key centers and the tune will be easier to digest. In the next lesson we’ll talk about how Coltrane applied his Coltrane Changes to popular jazz standards such as Tune-Up and Confirmation. As always, check our blog often. The bar line as written is incorrect each chord should be one beat NOT two, that makes the expression as written in the same balance as expressed as sound in music(I wonder if that would have help Flanagan?). The only exception is the so called "tonal center", but this is not correct either. The correct way to express this is calling it a tonal Gestalt and as you know there are four of them and each(Three consecutive Major 3rds) of them divide evenly over 12 tones in BOTH directions(I am pretty sure Coltrane was working with Slonimsly's book and between that and "Have you met Miss…" with his great genius he was able to correlate the two). The II – V's ALWAYS on the 3rd and 4th beat of the measure thus holding the tonal Gestalt intact. They serve the Jazz idiom as that was the language Coltrane grew up speaking but that was soon to change. The reason you think I'm not right here is because the Gestalt goes up in major 3rds making the middle major third in the Gestalt not a resting point but more of a Tension using the V chords to connect as a Jazzful way to move through the Gestalt but the release comes at the Major chord held for 2 beats. So you go down 2 major 3rds to resolve up one Giant STEP. This resolution(using Major 7th chords) up/or down in major 3rds is sonorous to a modern ear it's not "out" as they say. The middle 4 bars make it seem as if the resolution is happening down but climbing in Major 3rds in II- V -Is. That is not correct this was not bebop this was new and was essential for John Coltrane as a transcendental movement towards his true self. It is the opposite the resolution is up in major 3rds by climbing down in II – V – I's. That is until the last two beats which go down a Major 3rd in II – V fashion and becomes "Eternal return of the same" as they say. I believe that he became so adept at this that the compositional form/thinking vertically became impossible as his ability to negotiate this way led to something inexpressible in the Jazz form and became Jazz itself. Hi Brent, In 42 years of playing guitar, this is hands down the best introduction and breakdown of The Coltrane Changes I’ve ever read. Brilliant. I wish I read this 18 years ago. ‘Would have saved me years of headache. Hey DLB, so glad to help! I appreciate you letting me know. My pleasure! This is a fabulous website!